The process of designing and building custom homes is such a personal matter, I want to be involved in every aspect from the beginning. I have created a great network which includes architects, designers, & engineers that can accommodate everyone's needs. I have an innate ability to see things three dimensionally and have to think like an architect to create visually appealing structures. I also have the ability to think like a designer and assist you to bring all of the finishing touches together.  At Homes By Copper Canyon we know one of the most important attributes is communication; we listen to what our clients tell us about their lifestyle, vision and ideas, then we create their dream home based on their needs. It's an honor to be considered as your builder.